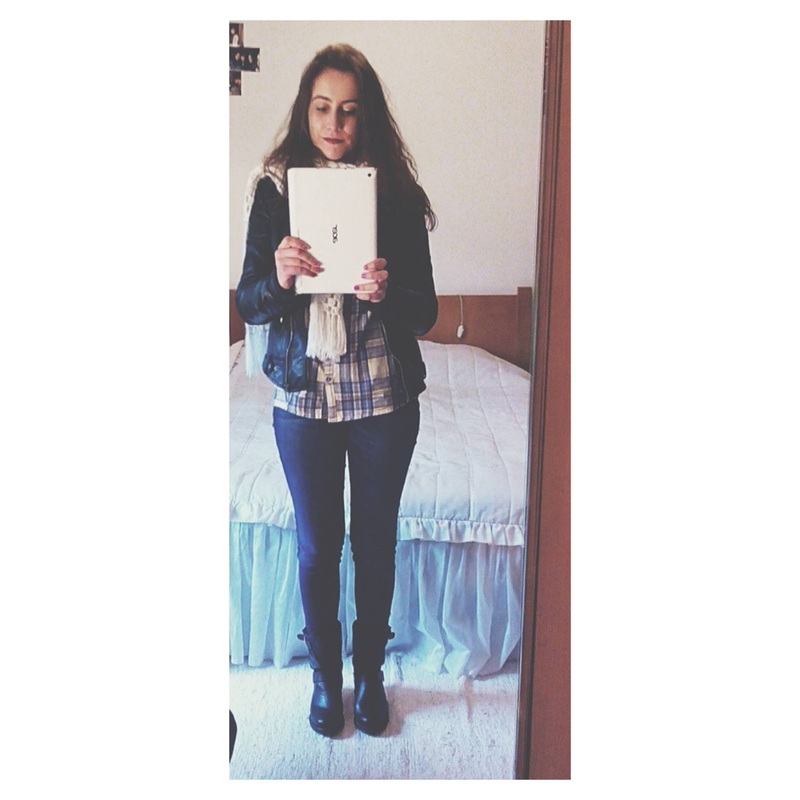 outfit | Sun, where are you? Farta deste tempo que me impede de tirar fotografias no exterior para publicar outfits. Felizmente para amanhã e para os dias seguintes já se esperam dias melhores. Com isto, deixo-vos aqui com umas fotografias com uma qualidade que deixa a desejar mas a vontade de postar era tanta que teve mesmo de ser. Já não me lembrava que tinha esta camisa no armário. Ontem apetecia-me vestir algo que já não usasse há imenso tempo e, quando procurei, lá estava ela. Decidi conjugá-la de forma muito simples, com umas calças de ganga e o meu casaco de cabedal e, claro, as minhas lindas botinhas. I'm so tired of this weather because I can't take photos outside to publish my outfits. Happily, we expect the weather will be better tomorrow and in the next days. So today I decided to let you with this photos and yes, I know that the quality isn't the best. I didn't remember that I had this shirt in my closet. Yesterday I wanted to dress something different and when I chose my clothes I found it. I decided to wear the shirt with one pair of jeans and my leather jacket and, of course, my beautiful boots. Look simples e confortável, adoro! Gira!! Também já não aguento este tempo!! Gostei imenso do look, super simples!! same here, we also have a nasty weather and its always raining that's why i haven't posted my ootd's yet.